Website analytics service StatCounter has found that Google’s Chrome browser overtook Mozilla Firefox in terms of global usage for the first time in November, slightly edging out its rival as Internet Explorer continued to dominate. StatCounter puts Chrome’s browser market share grew 4.66% over two years to hit 25.69%, beating Firefox’s 25.23% share to capture second place. Microsoft’s Internet Explorer continued to dominate usage statistics, gaining slightly in the past couple of weeks to hold a 40.63% share. In July, we reported Google’s Chrome browser exceeded 20% of the global Internet browser market in June for the first time, putting Firefox in its sights. 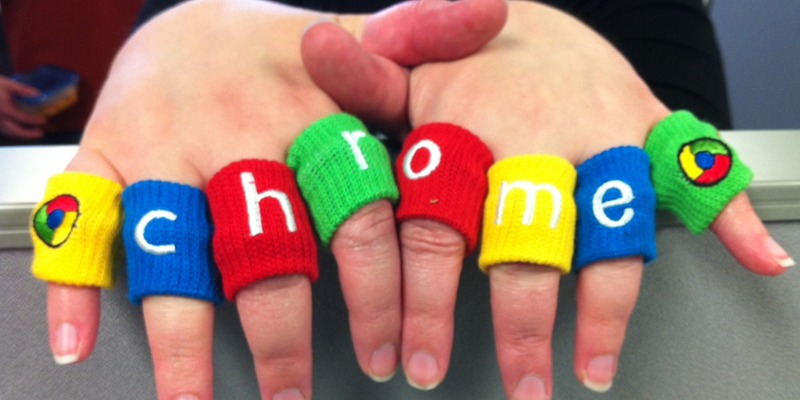 At the time, Chrome held a 20.7% share of the global market in that month, which was up from a mere 2.8% in June 2009. 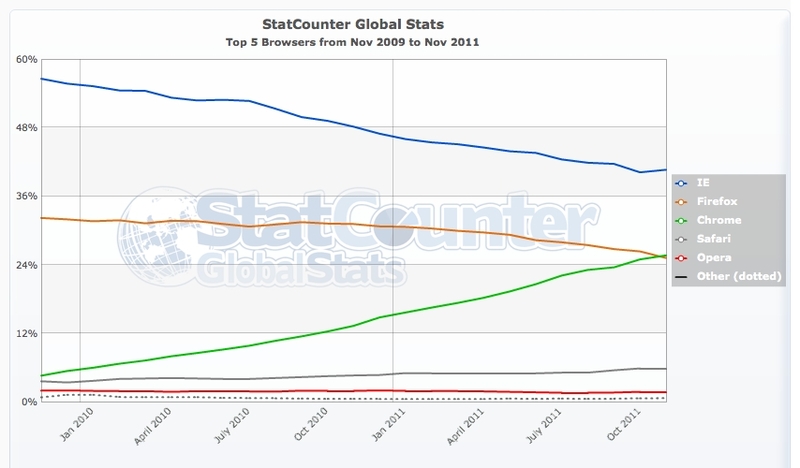 In the US, Firefox continues to hold second place with 20.09% share, slipping by more than 6.66%. Chrome accounts for almost all of the reduction in Firefox usage, posting growth of 6.41%. Again, Microsoft continues to enjoy the majority of users, accounting for more than half of all browser users monitored by StatCounter’s analytics service. Google has begun marketing its Chrome browser in recent months, advertising the browser on billboards and showcasing it with other services in its TV adverts. That seems to be paying off for the search giant, as it looks to claw back more market share from Microsoft and its Internet Explorer software.